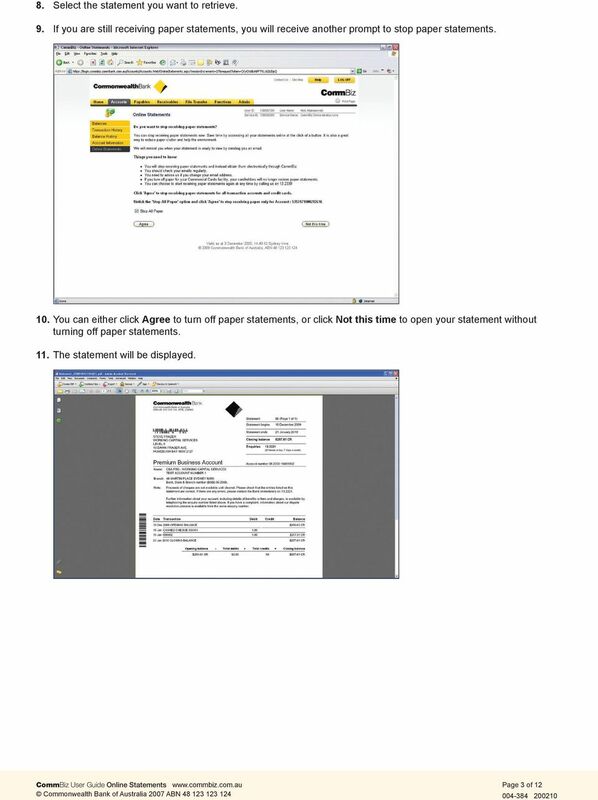 Download "Online Statements. About this guide. 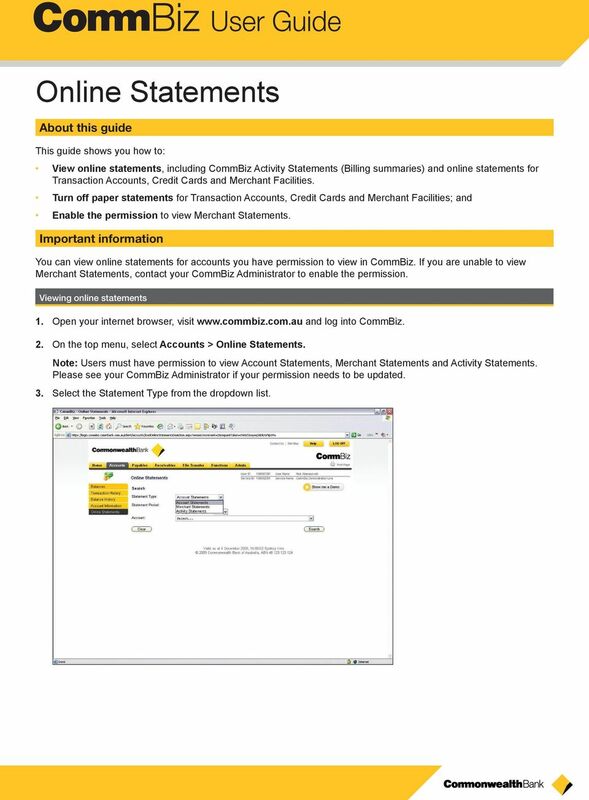 Important information"
1 Online Statements About this guide This guide shows you how to: View online statements, including CommBiz Activity Statements (Billing summaries) and online statements for Transaction Accounts, Credit Cards and Merchant Facilities. 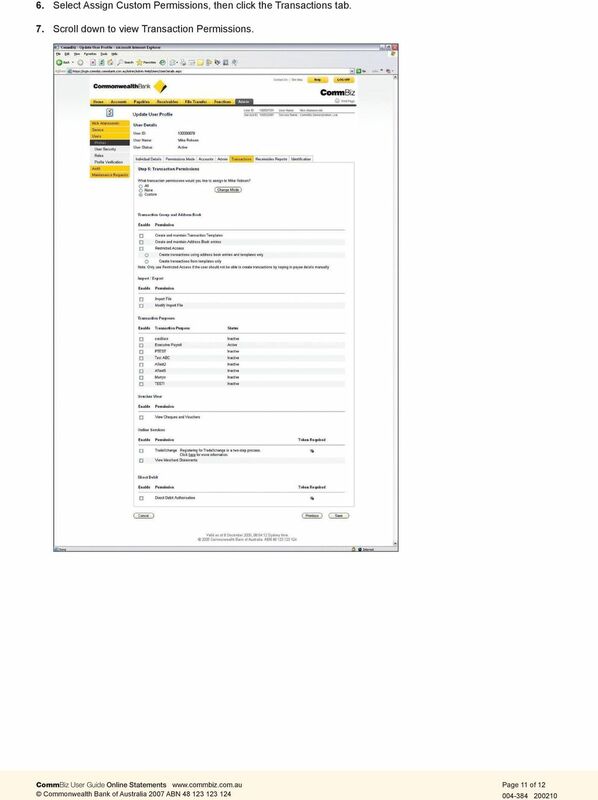 Turn off paper statements for Transaction Accounts, Credit Cards and Merchant Facilities; and Enable the permission to view Merchant Statements. 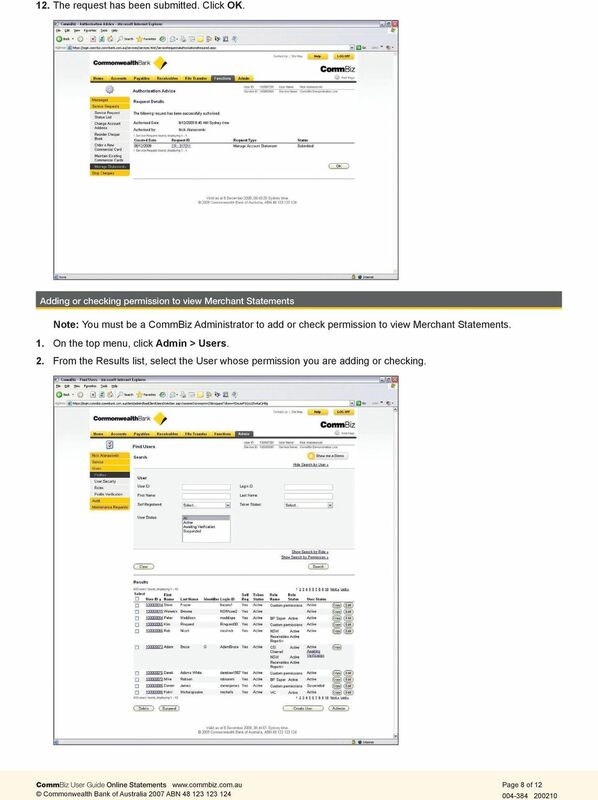 Important information You can view online statements for accounts you have permission to view in CommBiz. 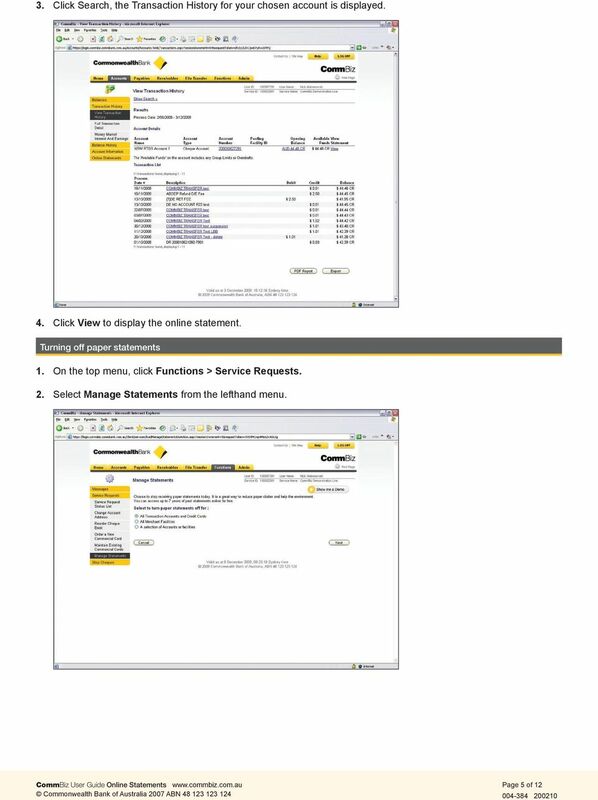 If you are unable to view Merchant Statements, contact your CommBiz Administrator to enable the permission. 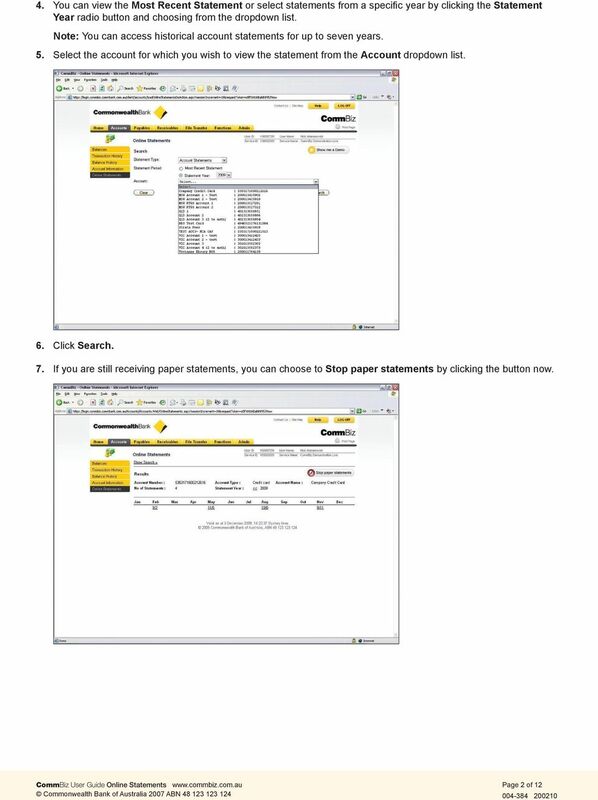 Viewing online statements 1. 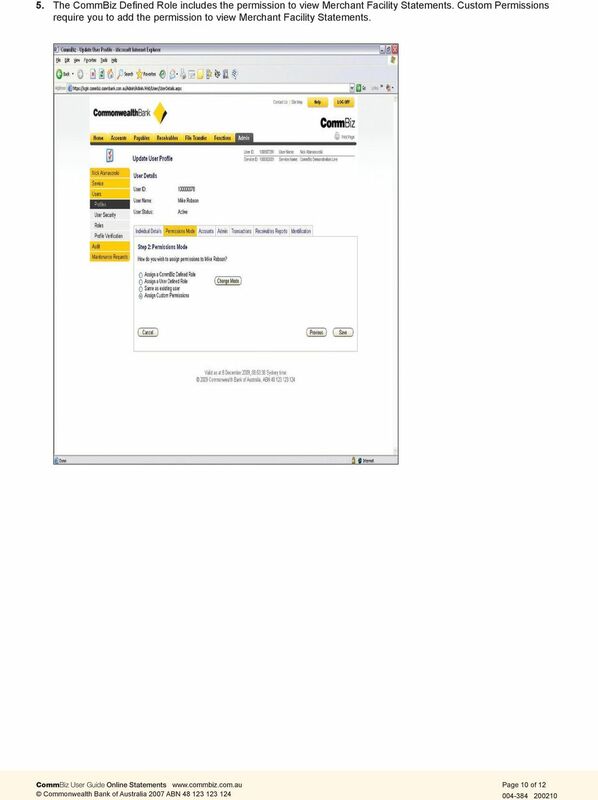 Open your internet browser, visit and log into CommBiz. 2. 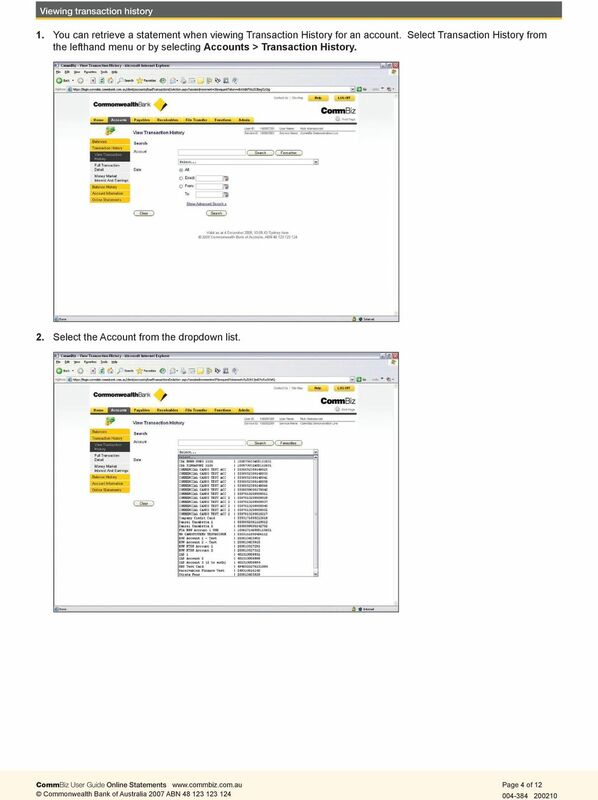 On the top menu, select Accounts > Online Statements. 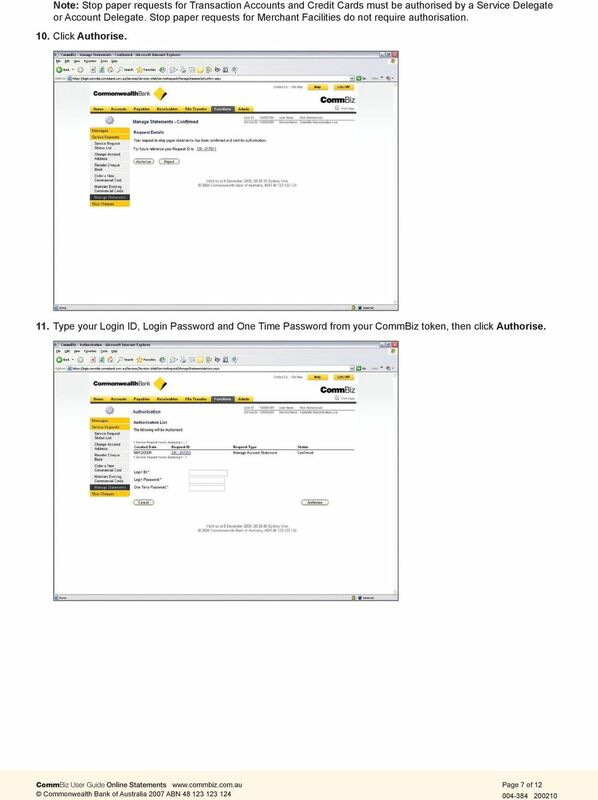 Note: Users must have permission to view Account Statements, Merchant Statements and Activity Statements. 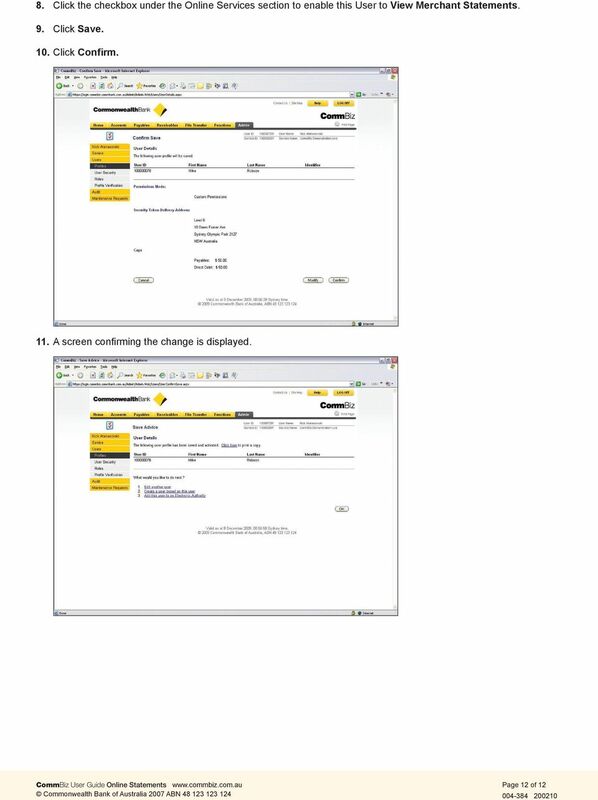 Please see your CommBiz Administrator if your permission needs to be updated. 3. Select the Statement Type from the dropdown list. Peterhouse Computing: Configuring Windows 7 (and Windows Vista) for a wired network connection. Table of Contents. Find Users (Search) 2. Delegate Work Items 6. Reset Password 9. Unlock Account 12. 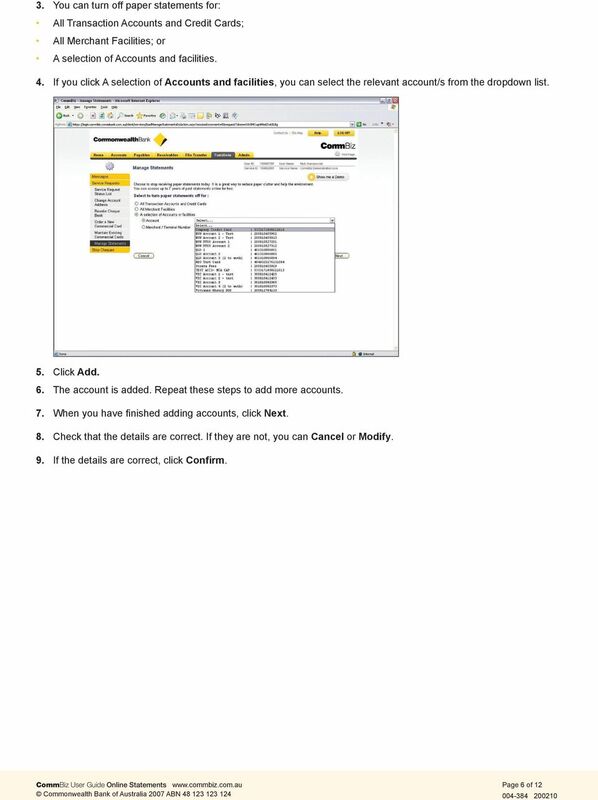 Disable Account 15. Manage Users: Table of Contents Find Users (Search) 2 Delegate Work Items 6 Reset Password 9 Unlock Account 12 Disable Account 15 Enable Account 19 Change Service 22 Version 3.0 Page 1 of 29 Go to https://sam.aa.com. 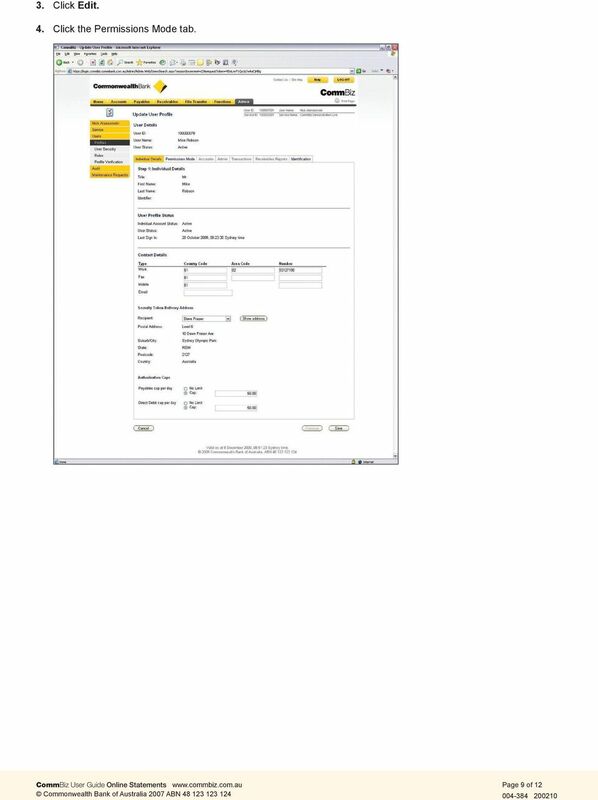 At the end of a statement period, you will be notified via-email that it is time to review your card statement.